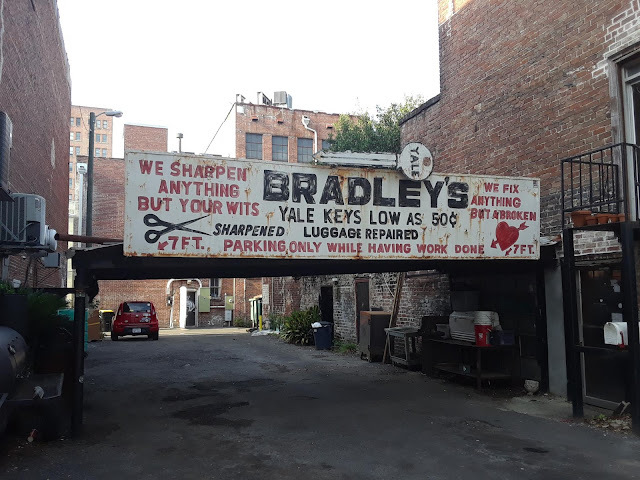 This curious and fascinating shop is located on a side street off of one of Savannah's gorgeous squares. 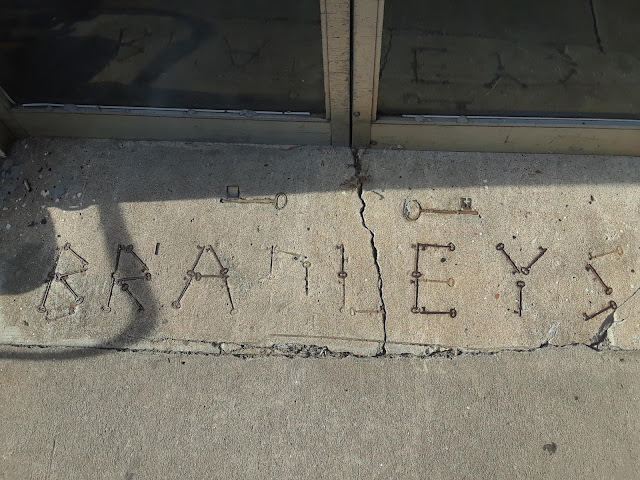 The building is older than Bradley's but the company itself dates from 1883.The shop is crammed with an ecletic array of artifacts from days gone by. And of course, keys. Hundreds and hundreds of them. The business has been owned and operated by the same family for all these years. The present owner's father, Aaron Bradley was enthralled by spiritualism and held many seances in the building. He had a friend that also shared his interests in the "other side", Harry Houdini! Houdini visited the Bradley family on several occasions. People walking by Bradley Lock and Key have often been startled by misty apparitions drifting past the windows late at night. A paranormal group investigating the building was treated to some interesting electronic voice phenomena. Hear more tales of this historic haunt on Mad Cat Tour's Ghosts of Savannah Tour. Why is Savannah so haunted? The number one question we get on our ghost tours is "why is Savannah so haunted?" There are numerous theories, but the one that we, at Mad Cat Tours, find most credible is the theory of attachment. Ghosts form ties to places or things. Most often a house or building. In this sultry little city there are over a thousand buildings in the downtown historic district alone that date from 1760 to the early 1900s. This gives our ghosts huge opportunities to anchor themselves to this world. Savannah has the largest urban historic district in America. We also have had our share of murders, tragic accidental deaths and of course the second bloodiest battle in the Revolutionary War. Come join our local guides and hear chilling stories of this fascinating city's past as we walk through the moss draped streers and squares. Our guides are passionate about our charming city, it's fascinating history and the folklore that makes Savannah the most haunted city in America. Why are there so many ghosts in Savannah? In a previous post I talked about the theory of attachment being a reason our sultry little city is so haunted. But here is a second cause for the ghosts that seem to linger in our buildings, streets and squares. There are age old superstitions regarding crossroads. Some of these date back to the 1300s. Crossroads have been a location considered neither here nor there. A place between worlds. In voodoo and hoodoo tradition it was a place to summon a dark spirit who would confer special powers upon you, if you performed the ritual properly. Blues musicians often referenced crossroads as the place they met with the devil, and won their musical talent. Numerous Celtic and European cultures believed that crossroads were a magical place to perform spells or to placate spirits. Crossroads are considered to be a veritable hot spot for paranormal activity.